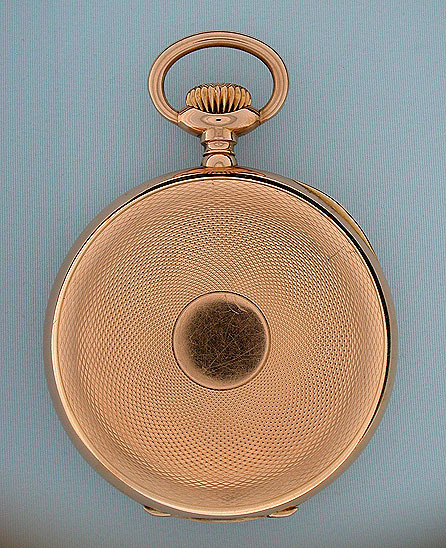 Fine Swiss 18K pink gold Patek Philippe Chronometro Gondolo vintage pocket watch circa 1909. 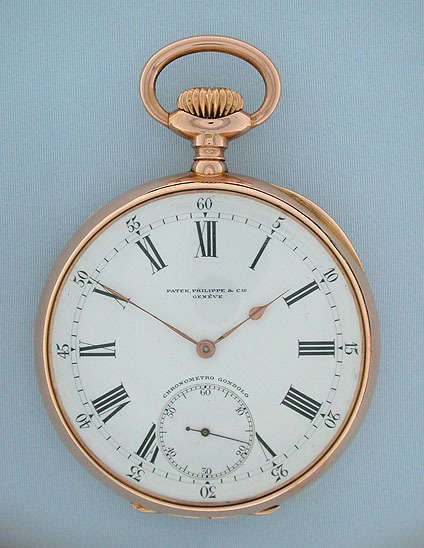 Fine white enamel dial with bold numerals. 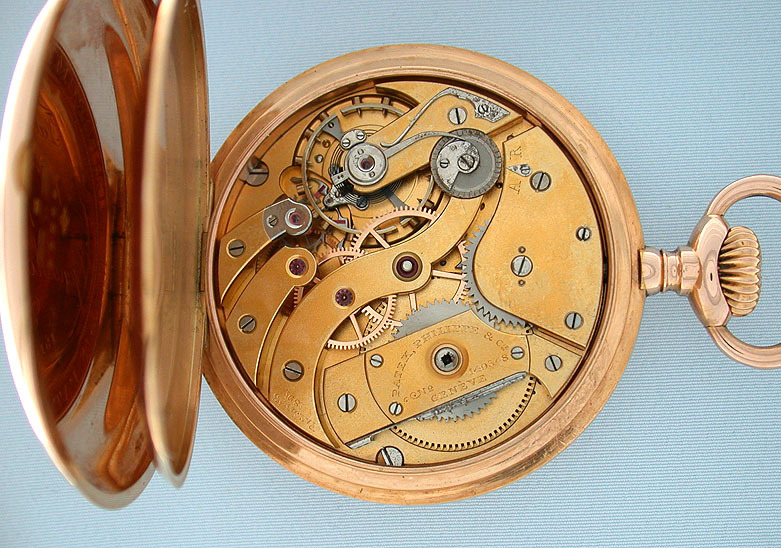 Gilt 20 jewel movement with "moustache" lever escapement, wolf's tooth winding, gold train wheels, and precision regulator. 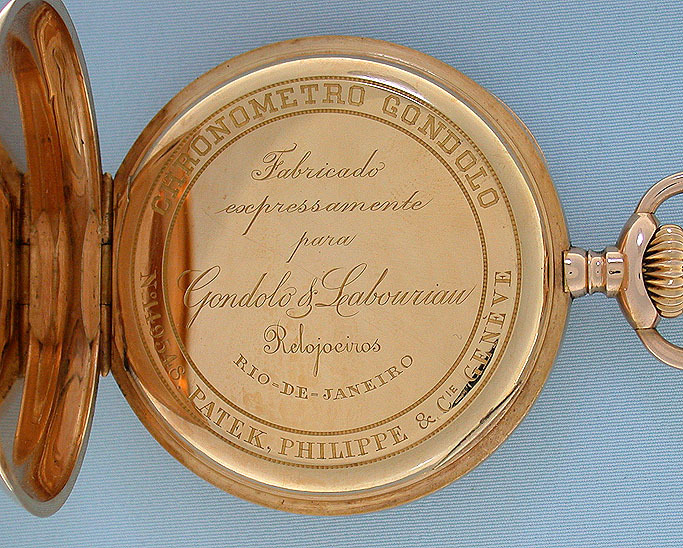 The dust cover is signed in Portuguese "Chronometro Gondolo - Fabricado Expressamente para Gongolo & Labouriau Relogios - Rio-De-Janeiro Patek Philippe & Cie. Geneve"ÊA lovely example from the best of makers. Patek Philippe made Latin American sales beginning in the 1870's, but sales increased significantly when they began doing busines with the jewelers Gondolo & Labouriau in Rio de Janerio in 1902 and started producing watches to their specifications called Chronometro Gondolo." Their interesting marketing techniques enabled them to become the world's largest retailer of Patek Philippe watches.